This affordable deep but not-to-deep red offers long-lasting, highly-pigmented colour and features innovative packaging that remains locked when not in use—so it only opens when you want it to, not when it’s in your purse! 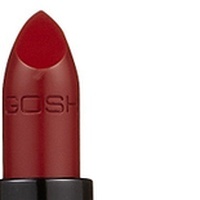 This matte lipstick from GOSH Cosmetics deliver creamy texture and long-lasting results with intense, pure matte colour. 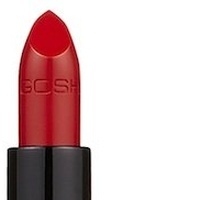 It lives up to its classic red name, with a nice, warm undertone that will liven up your skin. 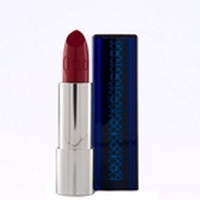 Wrap your lips in rich, satiny colour with this deeply replenishing lipstick that borders on berry. 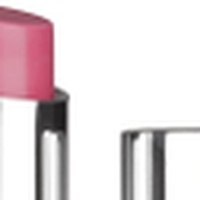 Infused with moisture-boosting Pro-Xylane ', lips stay moist, soft and comfortable for up to 8 hours. This intense matte colour, with a deep undertone that will go with any outfit, is enriched with natural waxes and hyaluronic acid to moisturize, hydrate, smooth and soothe lips throughout the day. A modern take on traditional lipstick, this creamy lip color provides the full pigment load of a lipstick, yet delivers the nourishing properties of a balm. The red skews pinkish for those who want lighter red coverage.